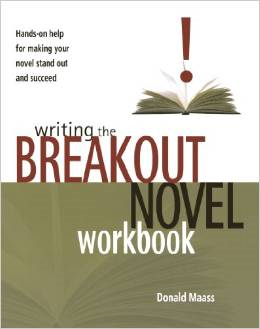 This week, we’ve been looking at Donald Maas’ Writing the Breakout Novel Workbook. I trust you have had your whistle whetted to learn more from this writing resource. Yesterday, we looked at Lessons 13-24, Part II, Plot Development. The lessons covered everything from subplots, to adding tension in different ways, to how and when to use backstory, plot layering, and complications. I’ll do the same today – pick out one point from each of the remaining lessons to encourage you to acquire the workbook and devour it. It will help you grow your novel and make it special. That’s what readers want and it’s what we writers want. 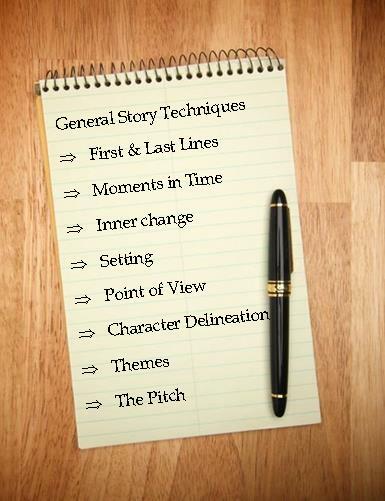 Today – I’ll be listing the lessons from Part III – General Story Techniques. This unit covers Lessons 25 to 34, everything from raising the stakes, complications, layering plot lines, subplots, turning points, conflict, and adding tension. I also talk about the Appendices. Lesson 25 – First Lines/Last Lines: Must have an intrigue, otherwise, why would the reader want to continue reading. This lesson tells what makes good first and last lines, and what doesn’t. Lesson 26 – Moments in Time: like a snapshot, or a freeze frame, a moment in time is just that. It can help establish the setting, the time period, how things are socially or politically, etc. Lesson 27 – Inner Change: How the protagonist’s thinking changes not only themselves, but how they see changes in others, as well. Lesson 28 – Setting: Setting is important because not only does “set the scene” so to speak, it has profound physical, psychological, and spiritual effects on the characters within it. Lesson 29 – Point of View: Capturing the unique way a character thinks and feels about where they are, what they and others are doing, by who they are, what they’re like. Lesson 30 – Character Delineation: How is each character different from any of the other characters? This lesson even includes a chart to help you develop characters different from one another. Lesson 31 – Theme: a recurring pattern, a motif, a message, morals – if your novel has something of this, Maas says, it will breakout. Lesson 33 – Brainstorming: Do it different. Reverse expectations, go to your gut instinct, put a new twist on an old idea. Lesson 34 – The Pitch: Think 30 seconds in an elevator to sell your book idea to an agent or an editor. Tips for making a great one – I used the basics and tweaked it even more. Appendix A – Outlining your Novel: Organizing your material and plot lines. The fundamentals, the middle, the highlights , and putting it together – but include the end as well. A sample is included. Appendix B – Follow-up Work Checklist: Takes each of the main steps from the exercises in the workbook to help remind you what to do. I would encourage you to learn more, and seek out this resource. It’s available wherever most books are sold. In particular, Lesson 34 helped me first begin to work with my pitch for Meghan’s Choice. But I’ve learned a lot more, as I’ve been gleaning for the best nuggets, the one main point of each lesson, I feel I’ve taken another writing course. It’s such an easy book to go through quickly, but I suggest you digest. Savor each lesson, learn from it, fill out the exercises. That’s why it’s a workbook – you can write in it. Thank you for coming along on my writing journey with me. You may hear from me an extra this weekend. I will hear how Operation 1st Novel went for me. And I will share it. That’s what this blog is all about – sharing. Does this resource sound interesting to you? Could you learn from it? Leave a comment and let me know. While I’m at a writer’s retreat, I’m not generating new material. This is a re-blog of a post from January of this year. From Writing the Breakout Novel Workbook, by Donald Maass. I highly recommend this resource to anyone wanting to learn the craft of writing. Have a great week.